I went out this evening hoping to find something well lit before the next line of showers rolled in. 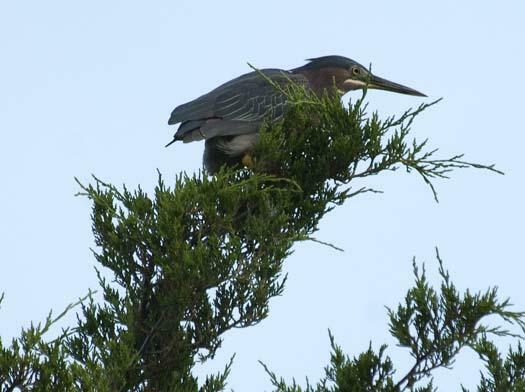 Just as the sun went behind the clouds I found this Green Heron holding on tightly in the top of a cedar tree. He swayed back and forth for a few moments before jumping off to find a more stable perch. I left for home, with the sun gone for the day. This entry was posted in Shorebirds, summer.